This is perhaps a very important aspect while you are on mountain, but often neglected. 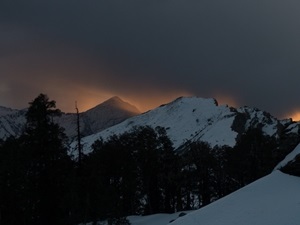 The importance is felt during any demanding trek on the Himalayas and should not be compromised at any reason. 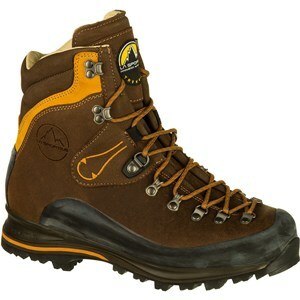 Generally the boots are heavier and durable and at the same time costlier than that of the shoes. 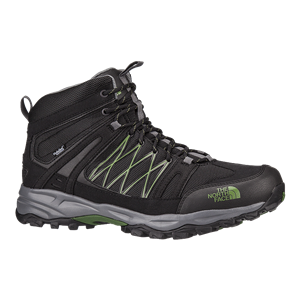 In general boots are meant for walking on the adverse trekking trail with hauling load where as the shoes perform fine on the trails when the total load exerted remains relatively less. While buying a Trekking Shoe/Boot the following qualities should be checked. i) Weight: Weight is one of the most important considerations when purchasing a shoe that you’ll be using for hiking or backpacking. 1 Kg on your feet is equal to 5 Kg on your back, so it is crucial to find light footwear to give you the most time on the trail without fatigue. ii) Traction/Sole: You must buy one with a rubber sole. Choice of a Vibram rubber sole is better than the regular rubber as it provides a better grip and stuck efficiently on different terrains. iii) Support: Mid or High Ankle shoes provide much needed support, especially on loose boulders, scree and while descending. It is essential for protecting your feet from an ankle twist. Also do check the heel support of your shoe. iv) Water proofing/resistance & Breathability: The shoes made of mesh will have less water proofing/resistance property. Breathability of a shoe is nice to have which keeps the ventilation while keeping your feet dry from inside. A Gore-Tex lining inside is the best choice though there are other available technologies too which are much cheaper. Unfortunately there is almost no choice of Backpacking Boots in India which are readily and consistently available. Few world renowned trekking and backpacking footwear companies are La Sportiva, Lowa, Scarpa, The Northface, Asolo, Salomon, Merrell, etc. Considering availability in India, Quechua Forclaz 500 is a decent choice for a Trekking Shoe. On mountain quality clothing is highly recommended. 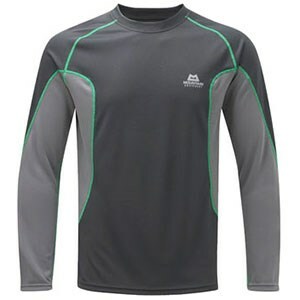 Proper clothing consists of a base layer, a mid layer and an outer layer. In some occasions the later two are combined with a thick and heavy jacket. Keep in mind of the following type of products while buying. B) Down Jacket: A good down jacket is the best option and is typically expensive. A jacket made of goose down is extremely pack able and incredibly warm for its weight. It is also the most comfortable among the jackets. The only disadvantage may surface in case of rain or wet conditions. 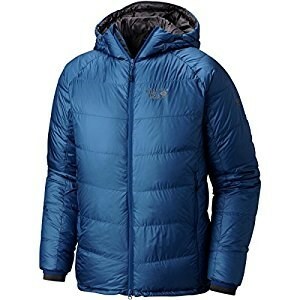 Down jackets are specified with the “Fill” power of the feathers and a Fill Power of 700 and above are recommended for buying. 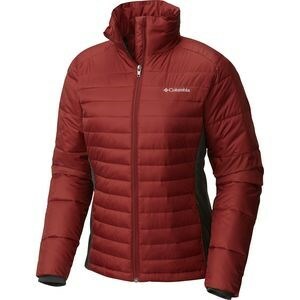 C) Insulated Jacket: These are made of synthetic insulation and air is trapped between layers of insulation. A well chosen insulated jacket can give you the desired warmth and to an extent the protection against wind. These kinds of jackets are cheaper with a wide range of variety. These kinds of jackets are normally the heaviest and may not be suitable when you need to backpack in a lightest way. D) Fleece Jacket: This is a very effective mid layer made of synthetic materials and best when underneath a wind or water resistant shell. 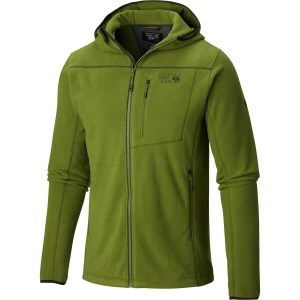 Modern day fleeces are pretty warm for their weight, highly compressible and comfortable. Fleece jackets are stretchable and provide more flexibility while on the go. 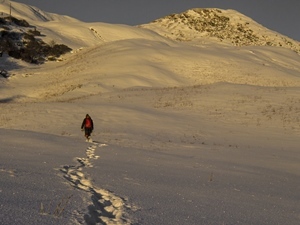 You have to use a windproof jacket or shell on top of a fleece for cold conditions. 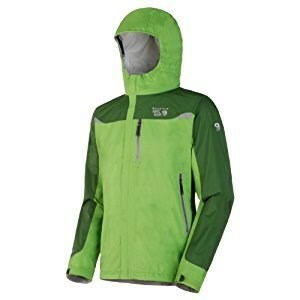 E) Windproof & Waterproof Shell/Jacket: Often on the mountain the wind chill factor is responsible for cold conditions. Some windproof products are coated with water resistant synthetic coating and are most useful. These jackets used as an outer layer will block the wind, protect you from drizzle or light rain while on the walk and are breathable. Apart from the high products, complete rainproof jacket may give protection from heavy rain but mostly are not breathable and not comfortable. F) Trek Pant/Lower: It is important to be wearing pants that are both comfortable and fit your body well enough to perform the activity in which you are engaged. 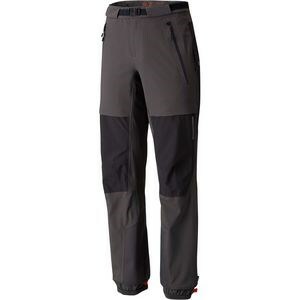 Quality Hiking and trekking pants are made of nylon with added spandex or polyurethane to add stretch ability. Hiking pant should be comfort driven, durable, weather resistance and quick drying. Ideally pants offer water resistance from light rain, breath-ability in hot climates, insulation in cooler conditions, protection from strong winds, and UV protection from the sun. Sometimes convertible pants are useful for varying weather conditions. For cold conditions or walking on continuous snow a thermal base layer can be used under the trek pant. Some world famous and quality clothing companies are Mountain Hardwear, Patagonia, Arcteryx, Mammut, The North Face, Marmot etc. In India choices are limited. Decathlon stores sell varieties of clothing which are decent in quality and serve our purpose. A) Size: Depending upon the duration of the trek the size of the backpack varies. 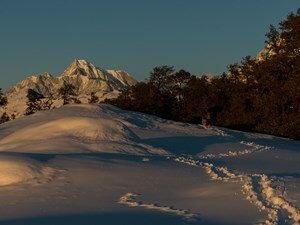 Considering the treks on the Himalayas ranging from 5 to 10 days a backpack of 40 to 60 L is sufficient. Don’t buy unnecessarily large backpacks which are heavy by its own weight. 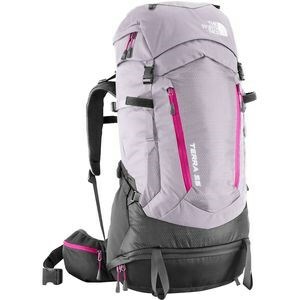 B) Internal Frame: Always buy a rucksack supported by an internal frame made of metal or alloys. This frame is a must in a backpack as it prevents the bag to sag and keeping the balance. A well designed frame will transfer the load to the waist belt and shoulder strap and distribute the load evenly on the torso. C) Shoulder strap and Hip belt: Always buy a rucksack with adjustable shoulder strap and hip/waist belt. These should be well padded with comfortable and quality foams. The strap and padding are better if covered with seat wicking ventilation mesh. D) Ease of packing: Most of the backpacks have top and front panel access. Some larger packs are designed with a separate sleeping bag compartment. Occasionally some do have a backdoor also for quick access to the main compartment. All of these will have multiple pockets, sleeves and lids for different purposes. E) Rain fly/ Dust cover: It is wise to buy a backpack which comes with a rain cover. A water proof rain fly will protect your clothes and sleeping bag from rain. Also it helps to keep away the dust. 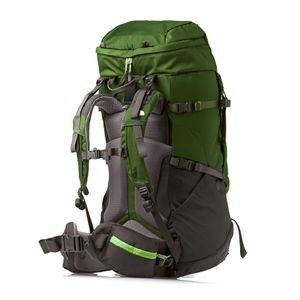 Osprey, Gregory, Camp, Mountain Hardwear, The Northface, Deuter etc are few leading world class manufacturers of backpacks. In India the choices are mostly limited to Quechua and Wildcraft. There are few local manufacturers around Kolkata like Alpine Equipment or Cliffline Adventure Gear who make decent rucksacks at a very competitive price. Both of them have a wide range of products including budget quality Wind Proof, Warm Jacket, Sleeping Bags, Day pack/knapsack etc.